So it begins. Harvesting the fruit of our efforts from last fall. More accurately, we are harvesting the bulbs of our efforts, but we must live within the limits imposed by our common idioms. We grew some varieties in large number and will have them available for sale in a month or so. Some we are growing strictly for seed stock. 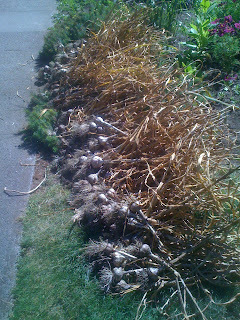 If you are interested in purchasing garlic, email us at info@innercityfarms.com. 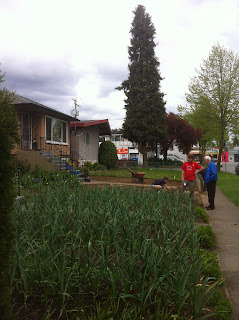 Here are a few images from yesterday's harvest in the Sunset neighbourhood of Vancouver. These are some of our Yugoslavian variety. 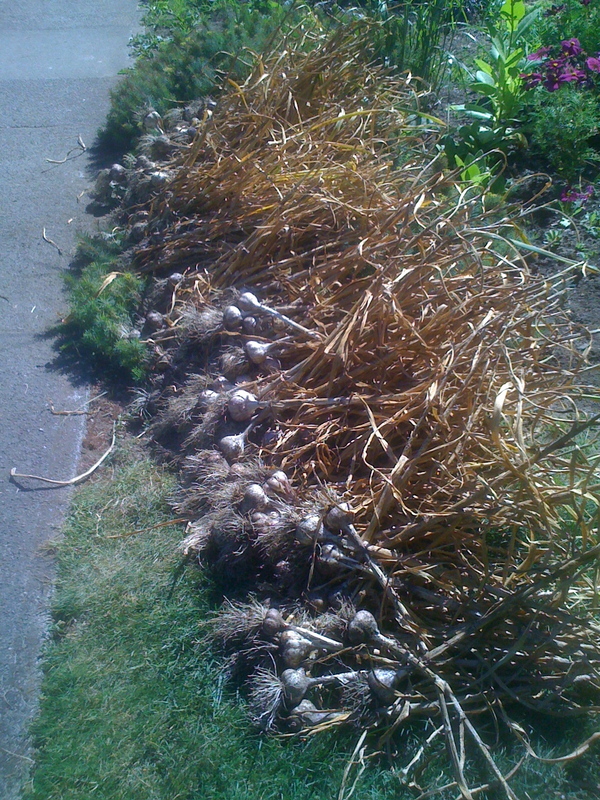 Amazingly, this front yard had about 650 plants!